Tina Bingham from Kent talks to us about her Trophy Pet Foods franchise, discussing why she chose Trophy, the challenges she has faced and advice for those looking to embark on their own franchsing journey! After 22 years with Trophy Pet Foods, Sue Reid has appointed her successor as Managing Director, with Matthew Snell taking over the lead! Ethical brand. Quality products. Proven system: A winning combination! 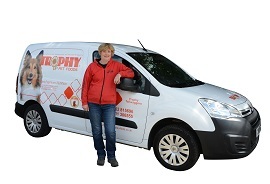 Trophy Pet Foods has been established since the early 1990's, the first mobile pet food franchise in the UK. 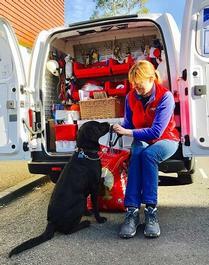 Since its conception, the company has been the market leader in its field and now has a substantial team of passionate pet people/franchisees delivering all over the UK. A nationwide company with the knowledge, experience and know-how to make each of its franchisees successful. Our ethical and highly-recognisable brand offers you a thoroughly tried-and-tested franchise model which provides all Trophy franchisees with a blueprint for success. Here at Trophy we realise just how important and what a big decision it is to enter into a new venture and start a new business. But this is where franchising comes in. We have the correct skills, experience and know-how necessary to make your new Trophy Pet Food delivery business succeed. We are here to train, support and guide you along the way. Our tried and tested formula combined with our superb launch programme and support package are designed to ensure every new franchisee can grow and develop an exceptional local pet food business. There is immediately the strength of a large organisation behind you – a proven system. The Trophy pet foods are made from only the best available ingredients and to the highest of standards. In a thriving pet food market it is vital that our pet foods, products and services are of the highest calibre, whilst remaining competitively priced. Trophy has been in business for over 27 years and this background, knowledge, knowhow and research, coupled with working with our established Trophy franchisees has resulted in the unique brand and range of Trophy Pet Foods we see today. Our range is extensive and includes complete, natural, nutritionally balanced foods for all pets. Spread over 4 ranges (Premium, Holistic, Lifestyle and Standard) with 29 exclusive dog foods, 4 distinctive cat foods and a holistic tinned dog food range; our foods allow you to offer your customers a range of pricing structures, personal choice, specialist foods and value for money. From puppies to mature dogs, active to weight loss, gluten free, hypo-allergenic, working dog diets, skin and coat management, allergies, food intolerance to digestive issues – we have a food that will suit. We also do a wild bird seed range, chicken foods, as well as a small mammal range. We stock a complete, evolving range of pet accessories, treats, pet care items etc. This enables you to offer a one stop shopping concept. We really do cater for everything the British pet owner requires. We manufacture our food each week to maintain freshness and specially select the best ingredients available ensuring that the foods are nutritious, palatable and balanced. Customer service is a priority with free nutritional advice, free home delivery, one stop shopping and free samples, all being available to the Trophy franchise to promote to their customers. 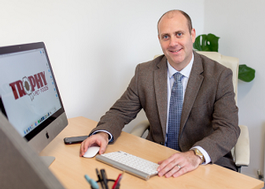 Trophy works closely with each new franchisee to establish a large customer base within the first few months. With a 'try before you buy' policy experienced franchisees can expect a 50-60% take up rate and a high customer retention rate. Price, service, product choice, free home delivery, free nutritional consultations etc are all relevant factors for your customers switching to The Complete Trophy Pet Care Service. Once a customer is a Trophy customer, they remain very loyal, with established Trophy franchisees reporting up to a 90% retention rate. Trophy Pet Foods also stocks an evolving range of pet accessories which provides our customers a ‘one-stop shopping’ concept. We also offer microchipping, healthcare items, free dog weighing and all types of pet treats to make every pet happy and healthy! In addition to the above list, Trophy Pet Food franchisees receive the very best in training and constant support in all areas of business. Franchisees have full access to their own personal trainer, who carry out all support, development and growth plans. The FSM is responsible for the infield launch programme and will also guide the new franchisee through their first few years with Trophy. You are never alone when you form a partnership with Trophy Pet Foods, starting with a smooth and effective launch programme. They are also with you every step of the way, after all your success is their success! One of the many benefits of running your own business in conjunction with Trophy is the level of support they can provide for you. Ongoing support is crucial and Trophy franchisees benefit from excellent communications, product development, free promotional literature, Local & National digital advertising, help with growing the customer base, regional meetings, a franchisee council, motivational support and, of course, your own personal trainer. Plus seasonal newsletters for all your customers, brand building programmes, the Trophy website and social media. Plus the Famous Annual Conference, a customer referral scheme and show/event support. This professional CPD qualification will allow Trophy franchisees to offer a professional, dedicated service to their customers, built on trust, confidence in the advice given, and it will add value to the Trophy services, ensuring customers receive the best nutritional advice. This nutritional qualification enhances the in house training provided and will allow franchisees to offer a professional, qualified and dedicated service to their customers. This distant learning course will ensure that are franchisees are fully trained in pet nutrition, providing you with a Professional Development Qualification. By filling in the form below you will be able to receive a copy of the Trophy Pet Foods prospectus. Tell us about how/when Trophy Pet Foods was started and the motivation behind establishing the company. 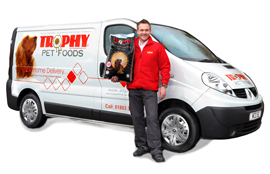 Trophy Pet Foods is the original and leading mobile pet food franchise. Established since 1990, now market leaders in pet food home delivery; we have always believed that quality nutrition is key. Trophy Pet Foods is a family run business; Head Office is based in Oxfordshire, as is our distribution warehouse. Our manufacturing plant is based in Northamptonshire. 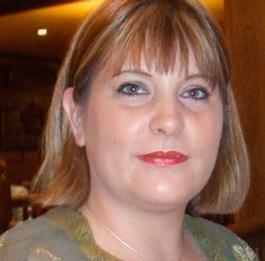 "We have franchised right from the start. We know that a local Trophy Nutritional Advisor / franchisee are the best people to give friendly, expert nutritional advice." Whether the pet is overweight, young or mature, healthy, has an allergy or food intolerances, Trophy are here to help. Every Trophy pet and their owner has a Trophy Nutritional Advisor to assist them in getting the right Trophy pet food. What have been Trophy Pet Foods’ biggest achievements/successes to date so far? Our TV advertising campaign, the current team of Trophy franchisees, manufacturing our own pet foods and the new range of Trophy pet foods. Our food has never been so good. British Made, Premium Ingredients with many key benefits for all types of pet. 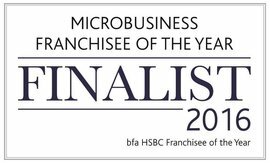 Each franchisee has a different opinion to every other franchisee. You have to balance these views and make a decision on what is best for the team as a whole, the brand and the business. Not always an easy task. Social Media is huge for us these days, as are local and national shows and pet related events. Our franchise grows on both sides of our business – through our franchisees gaining more customers and through the allocation of a new franchise in a new area. Our web site drives both types of growth, as does social media, new innovating Trophy pet foods, word of mouth (never underestimate the power of a referral), exhibitions and local show and events. Each new customer can try Trophy for free in the first instance; this lead generation is a constant source of new customers for Trophy. What differentiates Trophy Pet Foods from the competition? Our unique pet food business continues to build on years of success, offering individuals the freedom to run their own business and benefit from a flexible lifestyle dedicated to working with pets. In a thriving pet food market it is vital that our pet foods, products and services are of the highest calibre, whilst remaining competitively priced. "Trophy has been in business for over 25 years and this background, knowledge, knowhow and research, coupled with working with our established Trophy franchisees has resulted in the unique brand and range of Trophy Pet Foods we see today." Manufacturing our own foods at our own pet food plant allows our franchisees to have confidence in what is a Quality British Premium product that will ensure customer satisfaction and retention. Trophy Pet Foods are not large scale commercial suppliers of pet foods, who concentrate on manufacturing on a mass scale and market share. 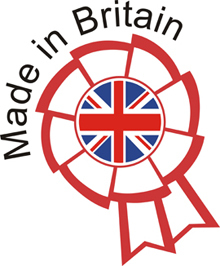 Instead we produce consistent, British made, premium foods of uncompromising quality. We manufacture our food each week to maintain freshness and specially select the best ingredients available ensuring that the foods are nutritious, palatable and balanced. In your opinion, what makes a successful Trophy Pet Food franchisee? A shared vision, a person that has a passion to run their own business in a pet related environment. Self motivating and willing to work extremely hard for the first few years. Vitally, they have to have the emotional support of their family. A recent survey conducted by the PFMA showed that 90% of pet owners believe that the food they feed their pet greatly affects its health and according to Mintel 79% of pet owners said that the quality of their pet’s food was as important as their own. "As the UK economy stabilises, pet owners who had moved to the value end of the market during the recession, are now returning to the premium end. Wellbeing is a big, long term industry trend. (Trophy Pet Foods cater for all these markets and our own figures reflect these predictions/research)." Here at Trophy we believe that the food you feed your pet has the single greatest effect on their quality of life. Health and nutrition is a key trend. Consumers are increasingly focusing on high quality, premium pet foods for their dogs and cats. Health conscious consumers are aware that a good balanced diet can have a major impact on well-being and this is equally relevant for their pets. Consumers are willing to pay higher amounts for food products that have potential health benefits. Increased awareness of certain issues such as pet obesity or allergies is driving innovation within our market (just look at the new Trophy foods). What does the future hold for Trophy Pet Foods? To continue to do what we do well, to further develop our pet range and to ensure that no matter where the British pet owner lives in the UK, that they will have direct access to a local Trophy Nutritional Advisor / Franchisee. No matter what direction the business takes, keep focused on your product / service – this is why you franchised it in the first place. Take professional advice, especially with your Franchise agreement and make sure you always find the right franchisee for you – ones that share your vision. Yes and no, but mainly No!